For several years now, practice of ‘ori tahiti has benefitted from a growing interest throughout the world and more and more enthusiasts come to French Polynesia, seeking to perform and/or to train with locals. Based on this observation, Te Fare Tauhiti Nui – Maison de la Culture launched a traditional dances competition adapted to small formations made of ‘ori tahiti enthusiasts from abroad and called “Hura Tapairu Manihini” or “Hura Tapairu International”. Purpose of this competition is to give international and non-residents’ groups the opportunity to perform in Tahiti and to promote Polynesian culture and image throughout the world. Therefore through this competition promoting creativity, groups will perform original creations inspired by cultural heritage of French Polynesia. Article 1: May enter the competition, any Tahitian dance group which head office is located outside of French Polynesia, lawfully constituted and registered in its country of origin. Article 2: Registrations are made by registering on www.huratapairu.com or by sending an electronic mail to [email protected], to Te Fare Tauhiti Nui – Maison de la Culture management. Registrations will close no later than two (2) months before the event’s date, that is 30 September 2019, or as soon as the number of ten (10) registered groups is reached. nominative list of all members of the group entering the competition (first and last names, gender, date and place of birth) and their position (musician, dancer, etc.) along with a valid copy of the ID of each group member. Pay up registration fees amounting to twelve thousand pacific francs (12,000 XPF) when entering the « mehura Manihini » category and to twenty four thousand pacific francs (24,000 XPF) when entering the “Tapairu Manihini” category. Such fees are not refundable and payable online https://huratapairu.com/en/hura-tapairu-international-en. Article 4: Programming of competition evenings and general rehearsals at the Grand Théâtre is set by Te Fare Tauhiti Nui – Maison de la Culture. Article 5: With the exception of musicians and singers as provided for in article 7 of this rules and guidelines, all artists (male and female dancers, ‘orero) making up a group must be non-residents of French Polynesia. Those residing in French Polynesia are prohibited to participate and failure to comply with this clause is eliminatory. Article 7: A band is compulsory during the competition. However, for international groups not being able to provide a band, for lack of financial or human means, Maison de la Culture commits to provide a band or facilitate contacts between the international group and a band leader based in Tahiti to set up the band. When Maison de la Culture provides the band, it will not be noted. Musicians and singers — and them only — can compete within a local formation and one international formation only. Male and female dancers and ‘orero registered in the local competition are prohibited to join a group entering in the international competition. Article 8: Each group entering the “Hura Tapairu Manihini” competition can compete in one category or both. That being said, participants within a group, listed by name, must be the same in all categories the group is registered into. Failing to comply with this paragraph are subject to penalties. A minimum of three (3) registered competitors is required for the opening of each category. If this minimum of competing groups is not met in any category, Te Fare Tauhiti Nui – Maison de la culture —upon decision of the director— may allow groups registered to participate to the “Hura Tapairu Manihini” competition, for exhibition shows only. Second part, ‘aparima (‘aparima vävä, ‘aparima hïmene) performed to the sound of percussion instruments authorised in article 13. In this competition category, covers of melodies, compositions and songs are prohibited. Finally, it should be made clear that the ‘öte’a part and the ‘aparima part must each be presented in one go, and both parts altogether being designed to form an uninterrupted show. and a raatira ‘orero if necessary. Therefore, group number is thirteen (13) at least and thirty (30) at the most. Note that should a group be registered in both “Tapairu Manihini” and “Mehura Manihini” categories, nominal roll (male dancers, female dancers, musicians, singers, ‘orero) of artist remains unchanged. Finally, no additional people are authorised. However, substitutes could be anticipated should there be a problem. Any adding up to the maximum number of artists besides those mentioned in this article that might be justified by the theme of the show is subject to the approval of the jury, which could be obtained during meetings with groups or through written requests to the jury. Body ornaments such as watches, bracelets, necklaces or earrings which are not Polynesian crafted, as well as piercings, are prohibited. Only engagement or wedding rings are tolerated. for the ‘aparima part: guitar, ‘ukulele, tari parau, pahu tüpa’i, ‘ïhara, vivo, tïtäpu, pü ‘ofe, hue, pü. The use of electro-acoustic guitars and ‘ukulele is encouraged to make sound take easier. On the other hand, the use of electric or electronic instruments is strictly prohibited. All sounds from the produce of Polynesian natural environment are also allowed (mothers of pearl, rocks, seeds, etc.). Any use of additional instruments other than those mentioned in this article, that may however be justified by the theme of the show, is subject to the approval of the jury through written requests to the jury. Whole performance in “Tapairu Manihini” (‘öte’a and ‘aparima) category is between twenty (20) and thirty (30) minutes. A bailiff will apply a penalty of twenty (20) points per jury member whenever the performance is below or beyond the authorised time. Article 15 – Content: Groups competing in “Mehura Manihini” category must present a new dance performance; meaning one that has never ever been performed in public before. Criterion used in the dance performance is based on a rhythm or tempo called “mehura” (equivalent to hula) and its variations: bossa, swing, kaina, etc. In this competition category, covers of songs that have already been produced are allowed on the condition that they are sung in reo ma’ohi *. Therefore, minimum group number is thirteen (13) and maximum is thirty (30). Note that should a group be registered in both “Tapairu Manihini” and “Mehura Manihini” categories, artists’ nominal roll (male dancers, female dancers, musicians, singers, ‘orero) remains unchanged. Finally, no additional people are authorised. However, substitutes could be anticipated should there be a problem. Any adding up to the maximum number of artists besides those mentioned in the current article, that might however be justified by the theme of the show, is subject to the jury’s approval through written requests to the jury. a shirt with pants or päreu for male dancers. Article 18 – Instruments: Instruments authorised in “Mehura Manihini” category are guitars and ‘ukulele, with a preference for electro-acoustic kinds in order to make sound taking easier. Traditional instruments such as tari parau, pahu tupa’i, ‘ïhara, vivo, tïtäpu, pü ‘ofe, hue and pü are also authorised, just like all sounds obtained from the produce of Polynesian natural environment (mothers of pearl, rocks, seeds, etc.). Likewise, use of electro-acoustic bass guitars, accordion and harmonica is tolerated. On the other hand, use of electric or electronic instruments is strictly prohibited. Use of any additional instrument other than those mentioned in this article, that may however be justified by the theme of the show, is subject to the jury’s approval through written request made to the jury. Article 19 – Duration: Total duration of the performance is at least four (4) minutes and no more than six (6) minutes. A bailiff will apply a penalty of twenty (20) points per jury member whenever the performance is below or beyond the authorised time. Article 20: At the conclusion of competition evenings, a podium of prize winners (1st, 2nd and 3rd) is set per category: “Tapairu Manihini” and “Mehura Manihini”. It is made clear that podiums result from the ranking obtained when adding up all scores awarded by the jury and calculated by the bailiff; the highest score tallying with the 1st prize winner.  Article 21 – Composition: Te Fare Tauhiti Nui – Maison de la Culture appoints a jury made up of chairman and three (3) or more members, to judge “Hura Tapairu Manihini”, all volunteers. Composition may change depending on the type of performance and according to each one’s competence. Note that chairman and other jury members are key figures and their competences in fields of dancing and music are publicly acknowledged. conduct meetings with competing groups leaders. Finally, the jury may submit Te Fare Tauhiti Nui – Maison de la Culture any proposition that may prove useful to the quality and good progress of the event. Article 23 – Voting: Each jury member is entitled to speak and to one vote. In case of dispute, the president has a casting vote. The jury is sovereign and decisions are irrevocable. Article 24 – Role of the bailiff: Te Fare Tauhiti Nui – Maison de la Culture appoints a bailiff. The bailiff calculates points from the jury’s scoring sheets and ensures enforcement of these rules and guidelines. In this case, the bailiff may enter into accounts penalties equivalent to twenty (20) points per jury member ever since a jury member and/or himself/herself may ascertain a failure to comply with the rules and guidelines (duration, costumes, number of male/female dancers or musicians, etc. ).